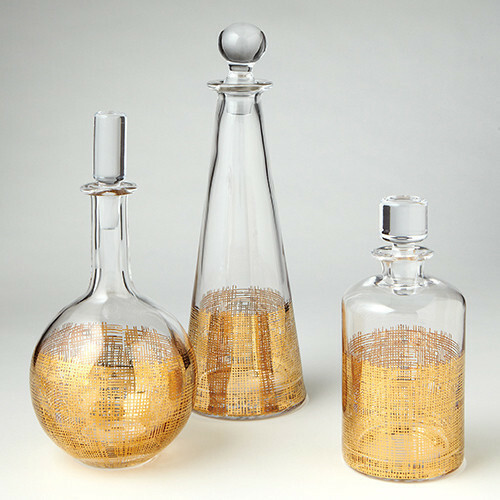 Gold etched decanters, $157.50 at Crosby Design. 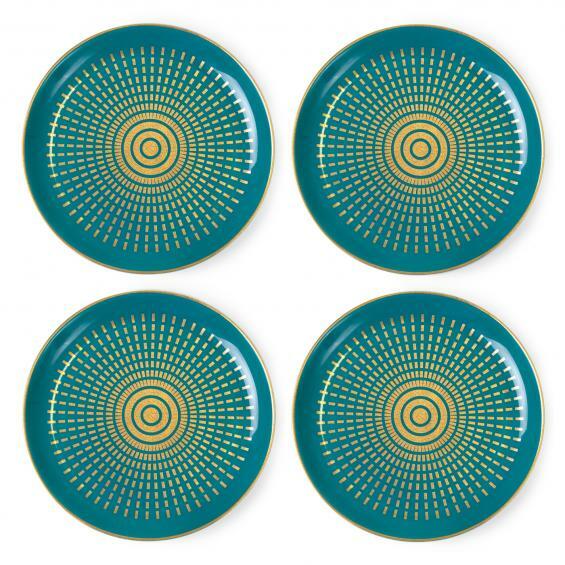 Santorini coasters, $68 at Jonathan Adler. 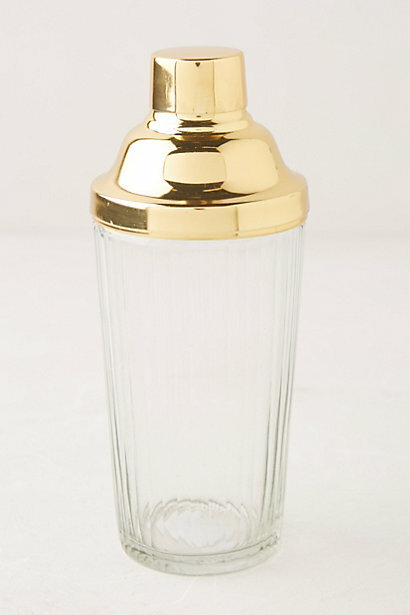 Elysse cocktail shaker, $30 at Anthropologie. 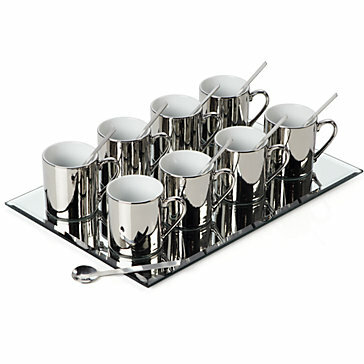 Tasse appetizer set, $19.95 at Z Gallerie. 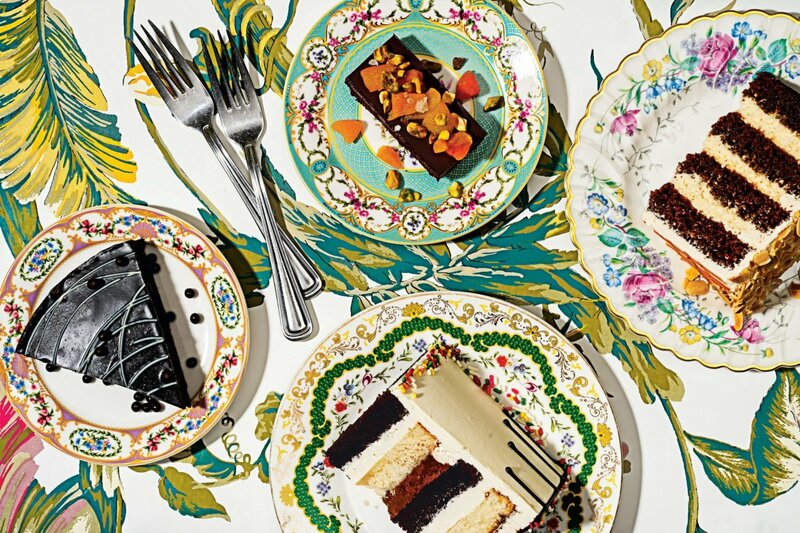 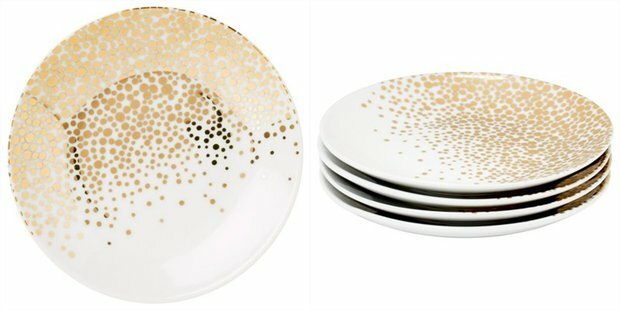 Bubbly Gold dessert plates, $49.50 for a set of four at Indigo. 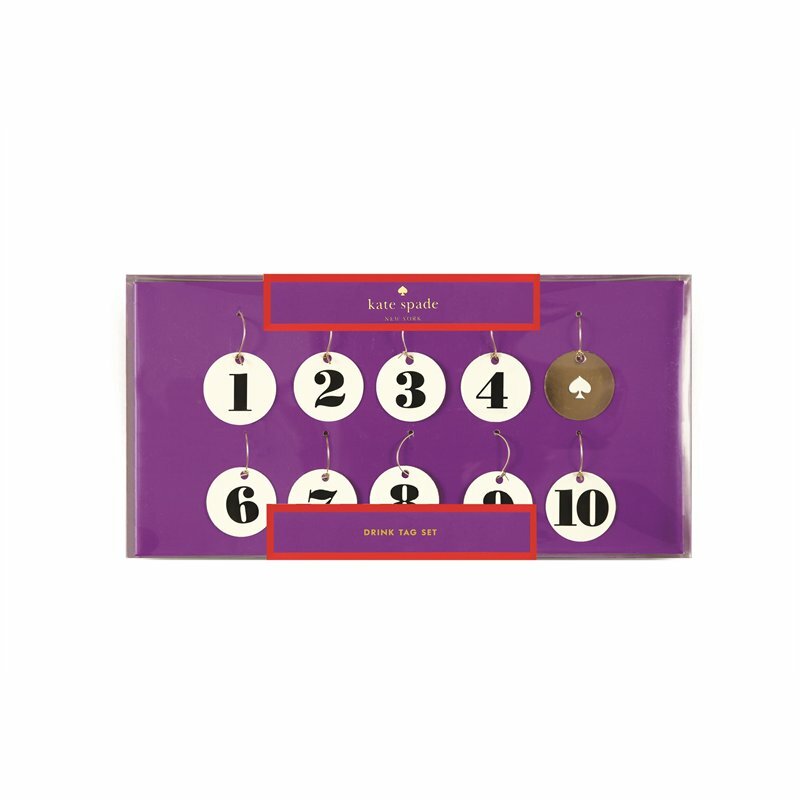 Wine tag set, $16 at Kate Spade. 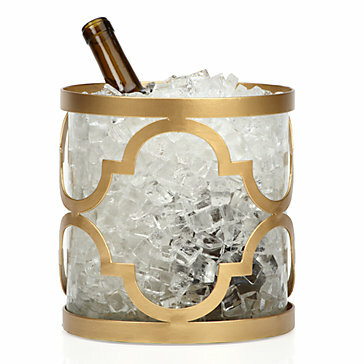 Meridian wine chiller, $59.95 at Z Gallerie. 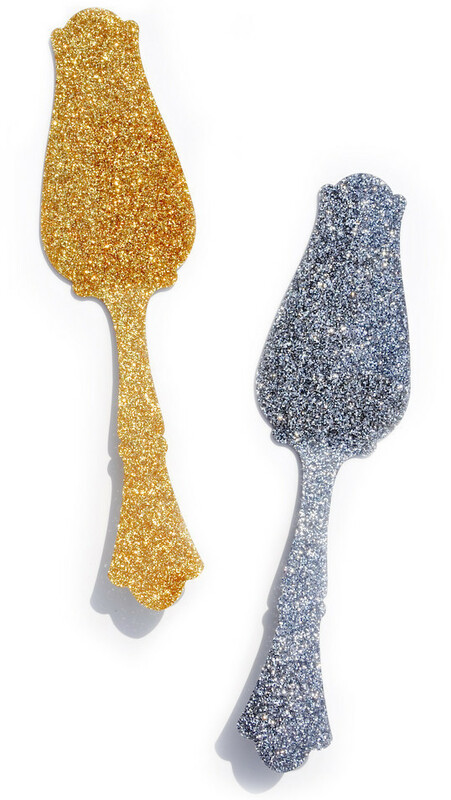 Glitter tart server, $23 at Leif. 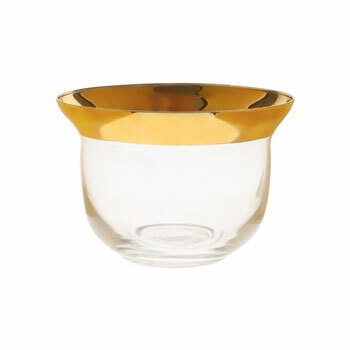 Golden-rim bowl, $9.90 at Zara Home. Be Merry! 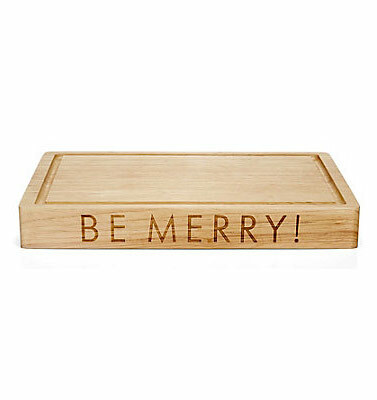 cheese board, $38 at C. Wonder. 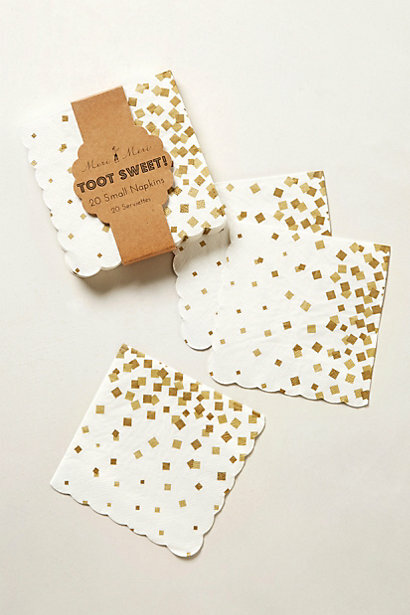 Gold confetti paper napkins, $4.50 for 20 at the Land of Nod. 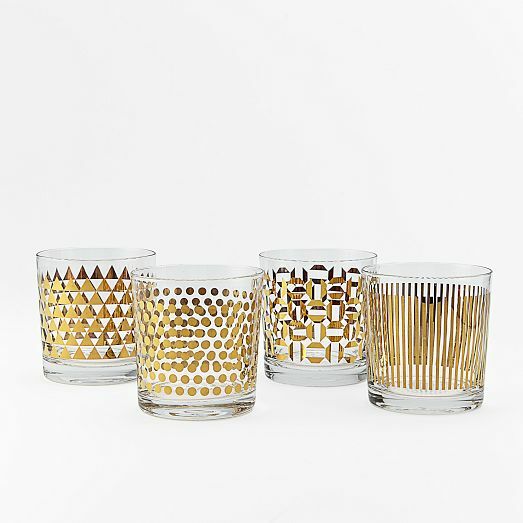 Metallic-print glassware set (available in silver, too), $34 at West Elm. 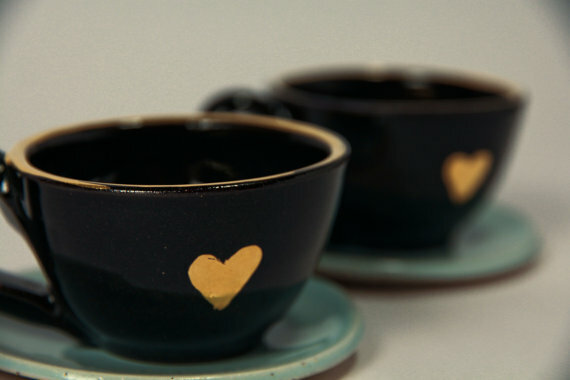 Golden heart espresso cups, $40 at Etsy. 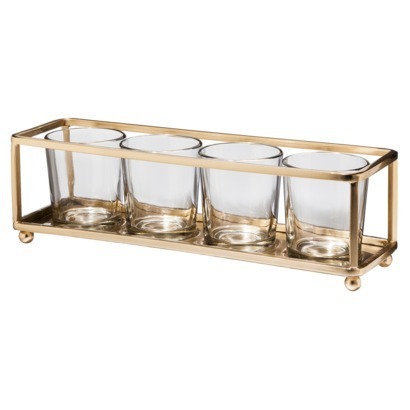 Threshold four-votive candle holder, brass finish, $15.99 at Target. 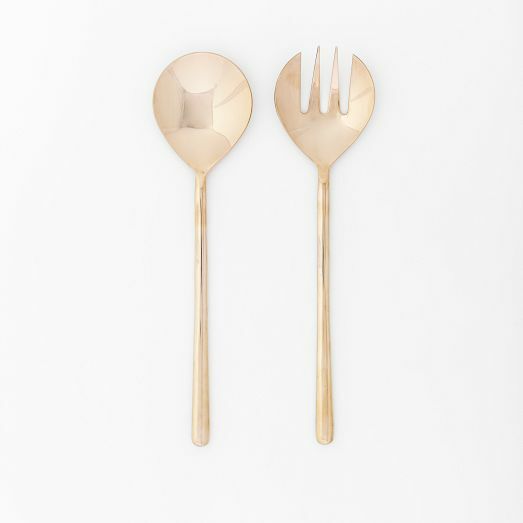 Rose-gold salad set, $39 at West Elm.